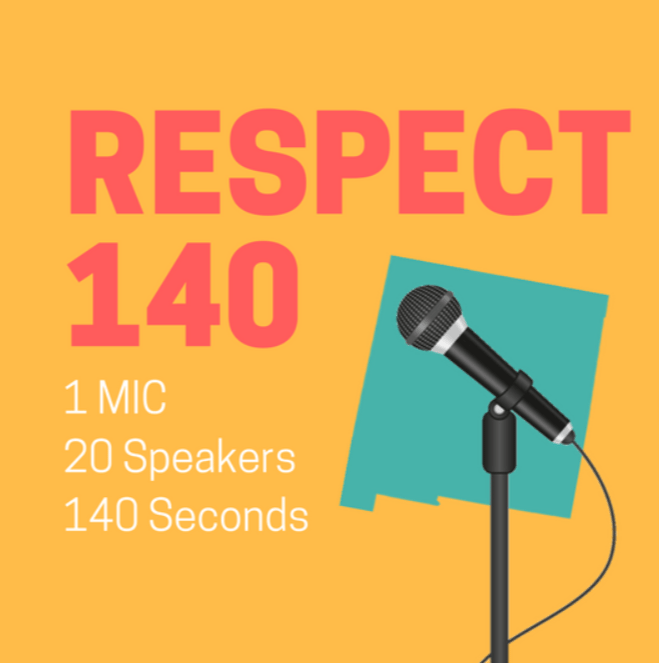 The Respect New Mexico Women Campaign is kicking off the 2nd Respect 140 event on November 14th, 6:30 – 8:00 pm. The event brings together 20 speakers from all walks of life to talk about reporductive rights, health, and justice. Each speaker will have 140 seconds. Please join the Albuquerque community for a powerful night of storytelling.